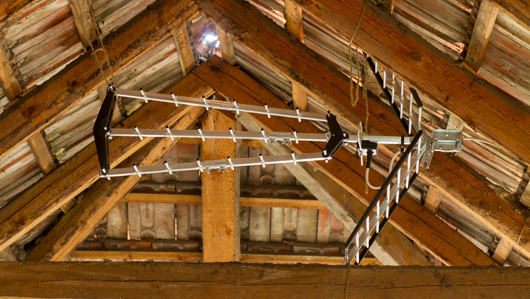 ​Mounting a TV aerial in your loft is a perfectly acceptable way of removing the unsightly ironmongery from your roof. In some areas aerials aren’t allowed on the roof ie if the building is listed or in a conservation area. No great technical problems involved in this method, of course the loft as to be big enough and there must be room among the debris to mount one,how close you are to the transmitter determines whether or not you need an amplifier ideally a thorough signal check with aerial and meter is in order. 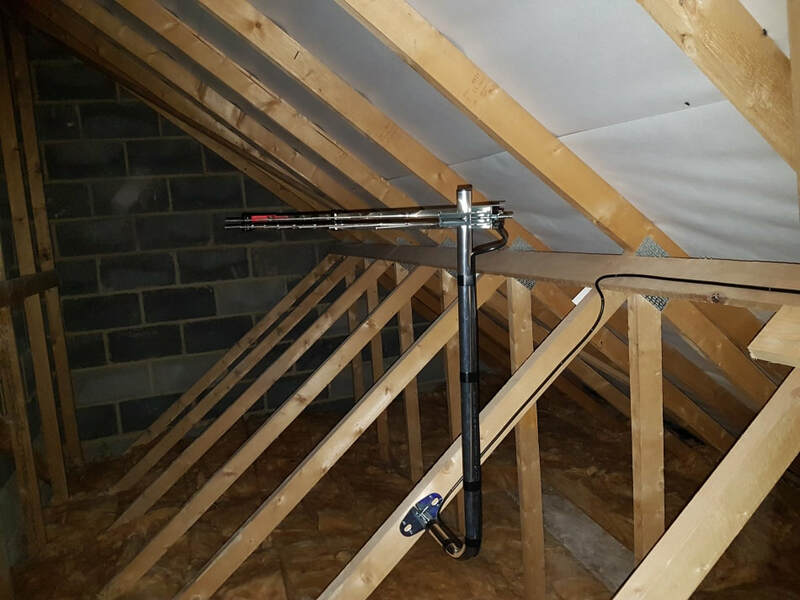 Even if a signal is weak in the loft a high powered mast head amplifier can raise the level to fully usable. Please message us about a loft installation,or ring us for a chat.